Antilocapra americana is the correct name for an animal that is found on no other part of the world, though they appear similar to old world antelope these wonders of nature have been around since the wooly mammoth and most of their compition have long since become extinct. 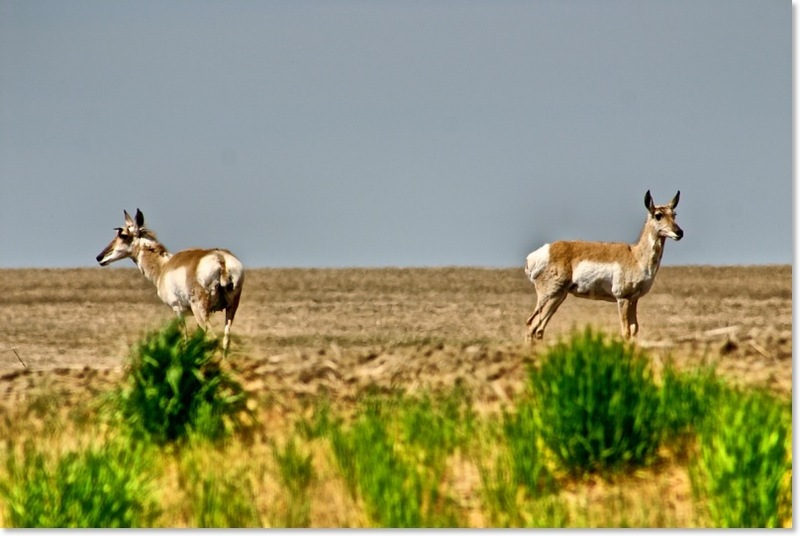 Scientist believe that at the time of the arrival of the Europeans in North America, there were more pronghorn then bison and unlike the bison, which roamed off into wooded areas, the pronghorn are exclusively found on the wide open prairie. Imagine at that time, there were more than 50,000,000. By 1915 they were down to about 12,000. Bison, though still around, are not the free roaming characters like the pronghorn, who have responded well to conservation measures. So much so, they now are hunt in most of their range, with between a million and half a million individuals. The population in Saskatchewan and Alberta is considered to be around 40,000. 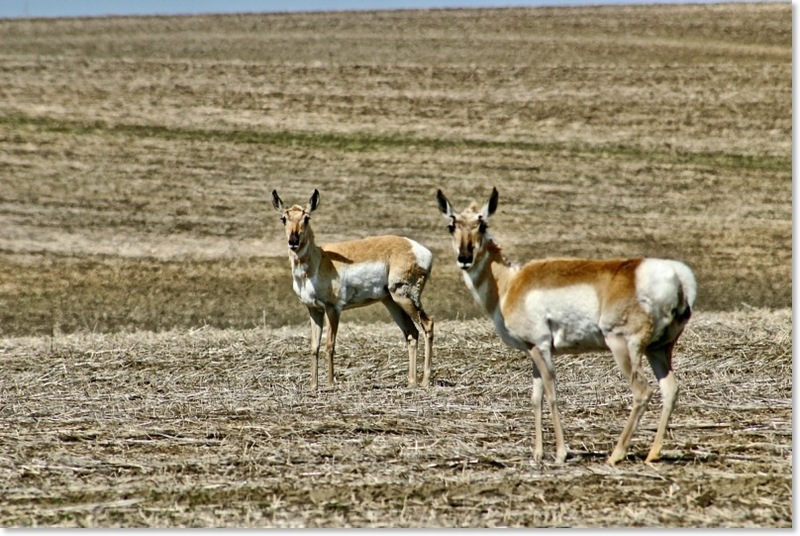 Having grown up in the south eastern part of Saskatchewan the first time I saw a pronghorn I was completely in awe. Deer, wapiti and moose like to stick to the wooded areas and are generally pretty shy about showing themselves during the middle of the day. 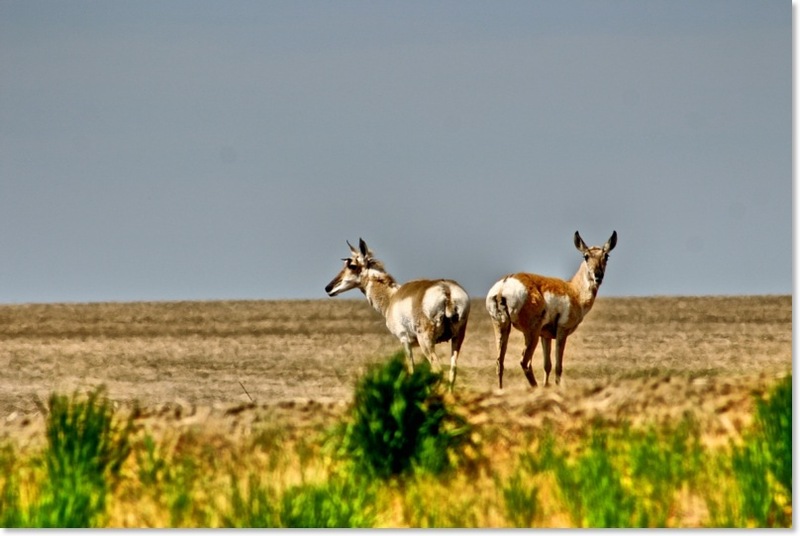 Pronghorn live out in the open for all to see but with the biggest eyes of all mammals compared to their body size the pronghorn are not only for all to see but they can see all, even while eating their vision is astonishing. Look carefully at the pictures on this page and notice the eyes, eyes that are keeping a close watch on the camera pointed at them Wednesday morning. I was told they could go fast and that they were not good at jumping as they tend to dive under fences. As a typical dimwit of twenty I spotted some in a field south of Moose Jaw and decided to see if the stories were true. I set out across a field with my 58 Pontiac and they slowed down so I could catch up. But, here’s the thing, fields get really small at sixty miles an hour and this was a hilly field. They all came to a polite stop and turned to observe me crawling out of my pink Pontiac as it sat atop a stone pile with oil running out of the crank case. 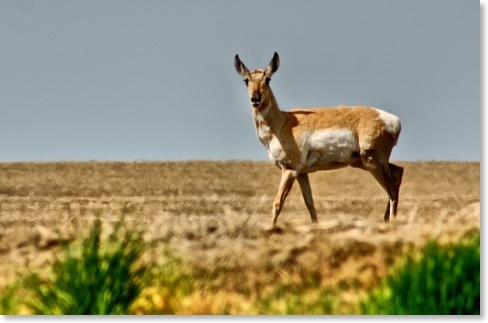 There are several unique things about the pronghorn but the most confusing is where they are. 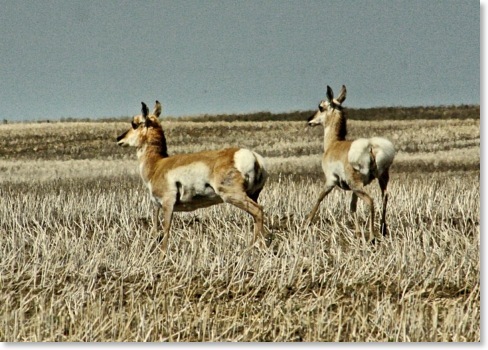 They migrate over amazing distances and though we have 40,000 or so in Canada at some times there may be a lot less as they have headed off to better grazing land and keep in mind they can keep up the pace for very long distances. 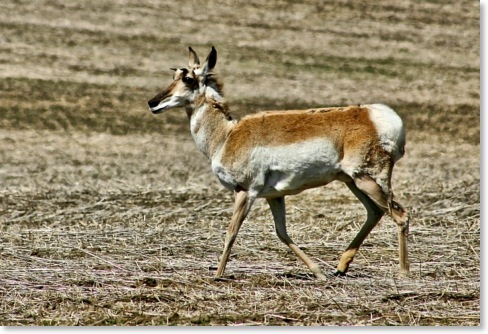 If you entered a pronghorn in a marathon he or she would finish in about 45 minutes. They are very social animals, normally pretty peaceful with a remarkable sense of humour. They really do enjoy a good race. You will notice in these pictures all of the animals above are female. 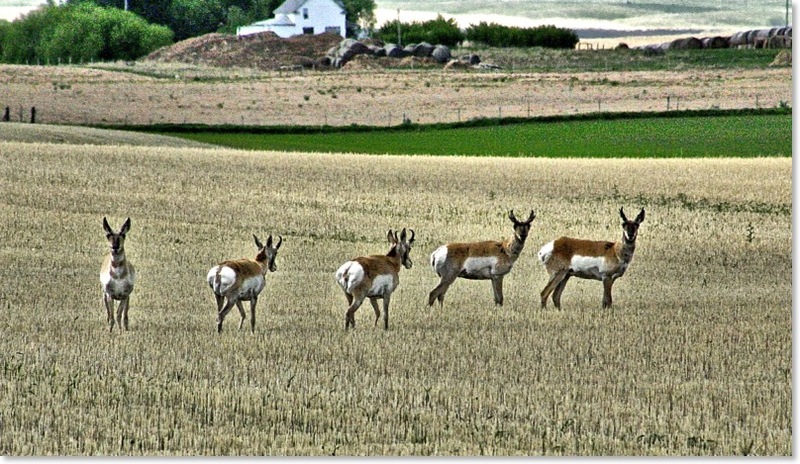 The ones in the picture below are all male and they were peacefully laying in a hay field when I slowed down to get their picture. Of course they were suspicious and moved off to a safe distance, just a bit more than accurate range for a rifle before they stopped to look back at me and most likely spotted the telephoto lens so they posed for this group shot.